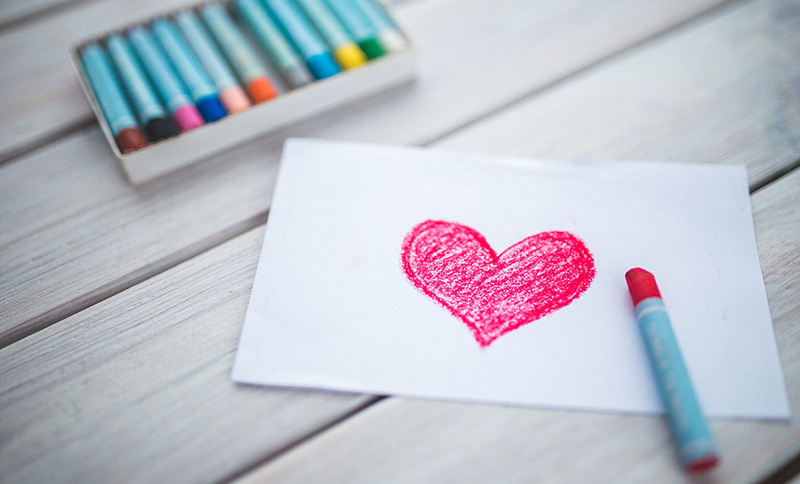 Valentine’s Day will be here before you know it, but before heading to the store, consider firing up your printer and getting crafty in your Signature home. We’ve gathered up some fun and creative Valentine’s Day classroom treats that your little sweeties will fall in love with. Pencils. These Just Write Valentines are perfect for school! What teacher wouldn’t want to see more writing utensils in the classroom? Rainbow Loom. The Rainbow Loom valentines require a little work on your kids’ part, but we know their friends will appreciate them! Paper Airplanes. How fun are these paper airplane valentines? Plus, they’re really easy to make! Play-Doh. These Play-Doh Valentines are perfect to hand out at school. Star Wars. There’s no denying the fact that lil ones love lightsabers. This glowing Star Wars valentine is a fun way to combine kids’ love of the film and glow sticks! I Spy. These mini magnifying glass Valentine’s Day card are adorable! Sweet Kisses. Kids of all ages can add a little something special to this classic Valentine’s Day candy. Lollipops. I’m a Sucker For You Valentines are simple, sweet, and absolutely adorable! Fruit Strips. Consider Fruit Strip valentines with a printable that fit perfectly on fruit leather strips. Colorful cards. These cool, colorful cards are made out of recycled crayon bits. Superkid! It’s a bird. It’s a plane. It’s Super Valentine! Treat your tot to a “super” Valentine’s Day treat with this caped crusader of a lollipop. Tiny Animals. The zoo animal options are endless with the Wild About You or Will Zoo Be Mine? Valentine. Though this one isn’t a printable, you can easily print your own cards and create it. Matchbox marvelous. These Valentine’s Day boxes out of mini matchboxes are adorable and can be filled with small candies. Toy Car. I “Wheelie” Like You or You Make My Heart Race. A card with a toy car is sure to make your little one the hit of the classroom. Color Your Heart Out. Teachers and your fellow classroom parents will love these crayon valentines. Mini Toads. These Toad-ally Awesome valentines are easy and fun! Just download the free printable, add on a plastic toad, and you’re in business. Minecraft. For the little Minecraft-lover, Lolly Jane’s Minecraft valentines are perfect! Kids can even put them together themselves. Joke Notes. Give them a laugh when they open their lunch with these Valentine joke notes. Have a Ball. These Have a Ball valentines may have them bouncing off the walls, but at least it won’t be because of a sugar rush! Bubbles. It doesn’t get much simpler than these You Make My Heart Pop! Valentines. Simply affix the printable to a bottle of bubbles, and you’re done! Photo Cards. Charge up the camera and say cheese with these photo cards! Take a photo of your child with their hands held out, poke a hole in the photo, stick lollipops through and add a little Valentine message. Lifesavers. This Your Friendship Is a Lifesaver Card printable paired with some candy Life Savers makes for a great card for school. Olaf. With Disney’s Frozen still all the rage, we can pretty much guarantee that this Olaf valentine will be a hit with every child in the classroom! Lips. It doesn’t get much cuter than Lips card. Take cute photos of your kids, photoshop your message, and glue on some tasty chocolate lips for an adorable card. Goldfish Bowl. We love the subtleness of this Fish Bowl Valentine. It’s especially great for schools that don’t allow candy in the classroom. Crazy Straws. Everyone loves to sip their favorite drink with a crazy straw, which makes it the perfect accessory for Owl cards or the cookies and milk. Totally Kool. With all of the food trading hands on Valentine’s Day, we can bet that your kids will need something to quench their thirst. These Kool-Aid Valentines are just the thing! Pirates. These adorable downloadable girl and boy pirate valentines have all the charm mamas want in their cards. Just download and print the files, stitch on felt hearts, and swoon! Friendship Bracelet. Bring the love of braided jewelry to the classroom with these Friendship Bracelet Valentines. Download the free printable, put your lil one to work making the bracelets. Bookmarks. These Bookmark valentines are perfect for preschoolers and younger elementary-school students. Love Bugs. These Love Bug valentines are simply printed from a free downloadable file and then jazzed up with plastic bugs. Perfect for classroom distribution! Erupting Volcano. If your child has a small class, the Erupting Volcano Valentine will stand out from the rest of the cards that arrive in their mailboxes.